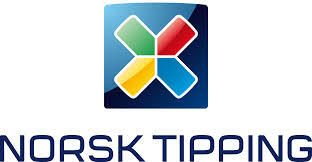 Stockholm, October 4th, 2017 – Swedish slots specialist Quickspin, a Playtech Group company, is to supply Norsk Tipping with its award-winning HTML5 casino games. The state-owned Norwegian operator’s casino players will have access to Quickspin’s most popular titles Big Bad Wolf, Spinions Beach Party, Crystal Queen, and Sevens High from January 2018, with further new and existing games to follow. Quickspin’s range of slots – now a mainstay of the world’s leading casinos – offers vibrant graphics and cutting-edge mechanics, with every game title optimised for desktop, mobile, and tablet devices. Daniel Lindberg, CEO of Quickspin, said: “This agreement with Norsk Tipping is an important one for us in the Nordic region and we’re excited about offering our games to Norwegian customers. “We’re sure they will find our premium games very enjoyable, and we look forward to adding further popular titles, including our new games, as the partnership develops. Hans Erland Ringsvold, Head of iGaming and VLT, at Norsk Tipping, said: “Quickspin continues to produce market-leading games and we can’t wait to offer our players such popular titles as Big Bad Wolf and Crystal Queen.